Welcome to The Gretsch in Williamsburg, originally a musical instrument factory converted to stunning loft-like residences by renowned architect Karl Fischer. 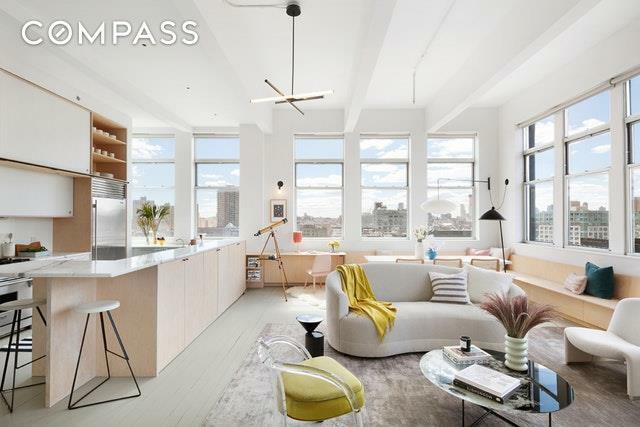 This open and contemporary corner loft brings you amazing open views of the Manhattan skyline, the Williamsburg & Manhattan Bridges, and the East River. 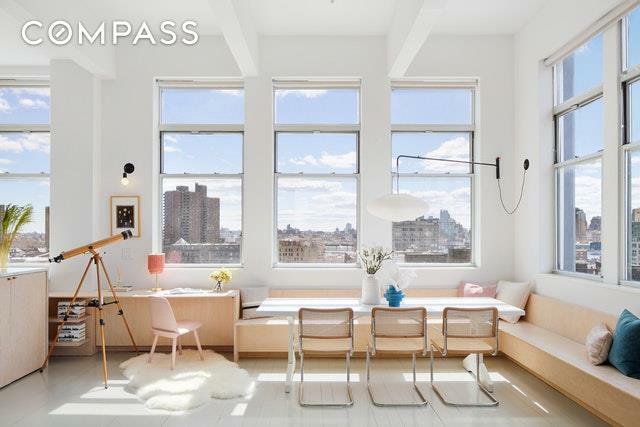 Recently renovated by renowned architect David Bers, this loft is pristine with amazing storage and built-ins. Other perks include 13-foot ceilings, oversized windows with multiple exposures, a gas fireplace in the living space, and tons of custom cabinetry. The open gourmet kitchen brings style seamlessly with Carrara marble countertops, Sub Zero and Wolf and Bosch appliances. The master bedroom suite features a raised platform bed so you can wake up to views of the water and the bridge. Past the massive walk-in custom closet you access your 5 piece Carrera Marble Master Bath providing you with a spa-like experience in your very own home. The split bedroom layout provides privacy and convenience featuring two additional large bedrooms that offer southern exposure. Across from both is a full bathroom. 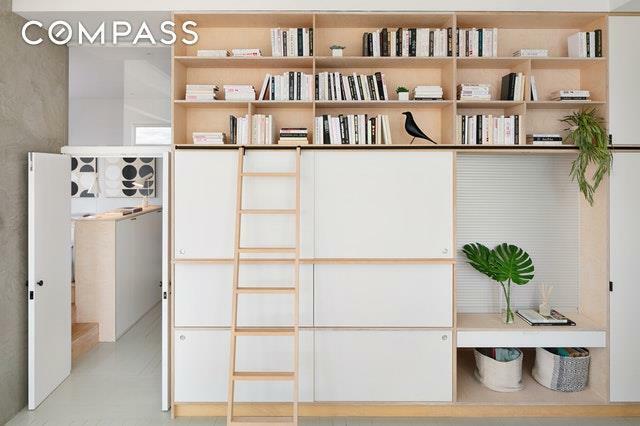 The unit holds a powder room at the entrance as well as a Bosch washer/dryer. 8C has "Nest" central air and automatic blinds for the windows. The Gretsch is a full service white glove condominium featuring a 24 hour doorman, live in manager, library lounge, roof deck, and bike storage. 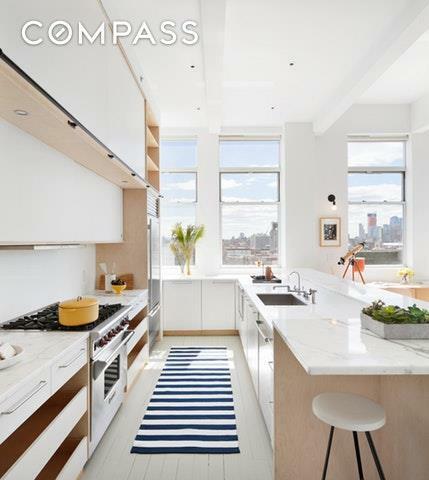 Listing courtesy of Erez Rose of Compass.